Polish Combination Lock – New 100% Mechanical Combination Lock – Ultra Secure – 3.2 million unique combinations. New 100% Mechanical Combination Lock – Ultra Secure – 3.2 million unique combinations. 3D Stainless Steel and Brass model for CNC production. 3rd round of worldwide decoding challenge is over. Hello we just finish 3rd round of Polish Combination Lock worldwide decoding challenge. Priyer just asked for the correct code and I have published it. Now we are waiting for final video review and afterwards Priyer will send my lock back to me for next participant. I will announce new round soon. Thank you Priyer for your effort in decoding my lock mechanism. Hello the Polish Combination Lock (PCL) is now in Canada and has been delivered to Priyer. 12.APR.2019 The PCL has been delivered to Priyer. I wish him good luck in decoding my lock. More information you can find on Worldwide Challenge page. I have next participant request: This will be announced if Priyer does not open my Polish Combination Lock mechanism just after the Challenge. The Worldwide challenge 3rd round will begin soon. 21.03.2019 Today the Polish Combination Lock has been sent to Priyer (Canada) at 10:40 CET. The estimate delivery time is 7 working days. Please let us know when you receive the package. We are waiting now for first Priyer video from unpacking and than the Challenge will begin. 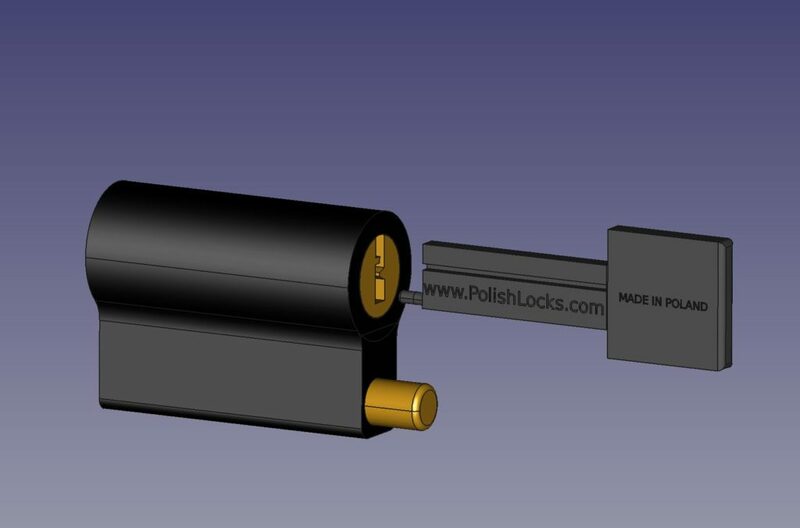 I wish Priyer good luck in decoding Polish Combination Lock mechanism. New Worldwide Challenge request from Priyer just arrived. Hello due to the fact that there was no more requests from people who have more than 5000 subscribers I decided to cancel this requirement. Now anyone who has YouTube channel about lockpicking can participate in my Worldwide decoding challenge, new rules are updated now. He picked already such a “unpickable” locks like: the Bowley lock, the Forever lock, and the Yuema 750 to name a few. So lets the challenge begin soon. You can find more info on proper page…. I wish Priyer all the best and good luck in decoding. The Polish Combination Lock is now going to Canada. Polish Combination Padlock – revisited after mounting Seeger ring inside. 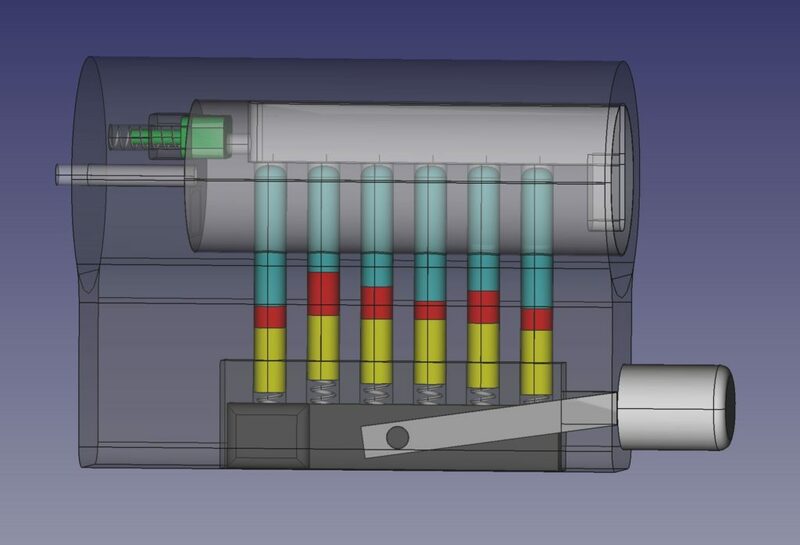 New modifications for standard Pin Tumbler Lock – Much harder to pick, almost pick proof. 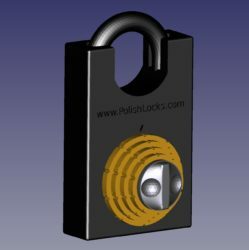 Hello today I made video presenting brand new Polish Combination Padlock with closed shackle printed on SLS Formiga P100 printer in Rapid Prototyping Laboratory at Warsaw University of Technology. This is 1:1 as commercial padlock should looks like. Hello I made new video with all details and answer Why this is unpickable lock? Anti Pick Pin added on first slot. There is rigid connection with driver pin. When you push the lifter button the first anti pick pin is blocking entire keyway unable the free access to the rest of pins. This is additional security level. Depends on desire security level it could be more than one anti pick pin. Please consider that red pins could be made from neodymium magnets and blue from steel (the red part could be divided 50% upper part steel as well and 50% lower part neodymium magnet). The key is from brass and the plug and case as well. The pins could have different shapes as well. Yellow neodymium magnets 3x6mm, red and blue steel pins. Important remark: Only few selected slots with magnets like second and 4th etc. Red could be brass pins as well. Hello I have just published my new invention, the unpickable pin tumbler lock. This new upgrade to standard mechanism is my latest invention. I have all Copyrights to this solution. Please watch my video and read the proper page from Top Menu. 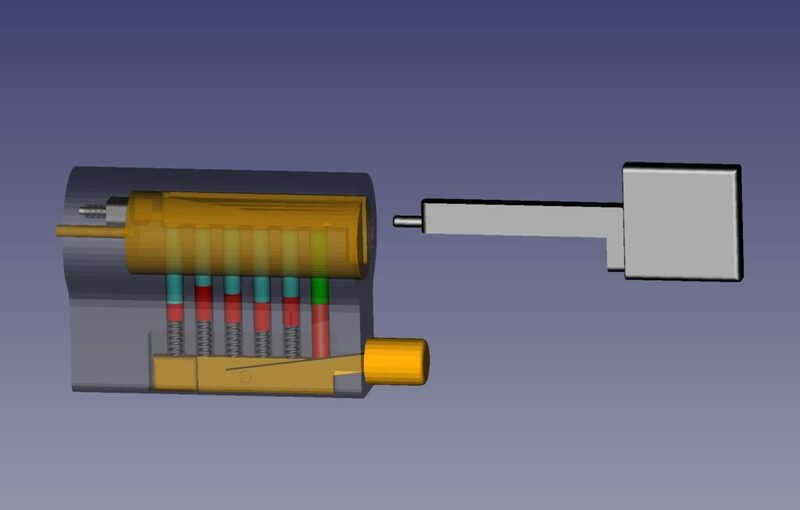 This mechanism seems to be resistant to all lock picking methods. Hello I have added just multi language widget. Hello I am observing that many people from different countries reading my web page. So this is 100% English version and I decided to add multi-language widget for automatic translation using machine Google algorithms. Now you can read the content more or less in your native language. Sorry if the quality of automatic translation is bad sometimes. I have checked Polish version 🙂 it is not perfect but people can understand so it should be similar in other languages. I have created this site in order to show you brand new lock mechanism and to find Investors and Partners for co-operation to produce and sell world-wide this unique solution.